He Is We is an indie pop band formed in Tacoma, WA. The duo consists of Rachel Taylor and Trevor Kelly. They are currently in the process of recording and releasing their debut album. 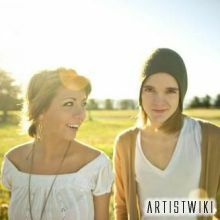 Their music so far can be downloaded for free at http://heiswe.bandcamp.com.